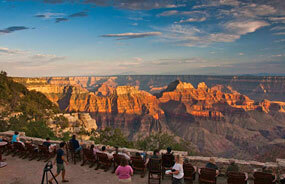 Grand Canyon National Park was created in 1919. Over millions of years the Colorado River has cut a deep gorge through Arizona. 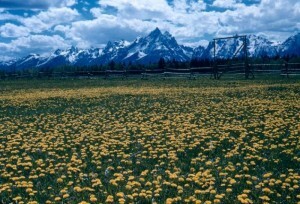 The park occupies over one million acres of land. Children can visit a website at: http://www.nps.gov/grca . They can also read more at: Grand Canyon. Twenty-Second Amendment to the Constitution was adopted in 1951. It stated that a President could not be elected to more than two terms in office. Prior to the amendment, custom (but not law) was that no President would run for a third term. However, Franklin Roosevelt was elected to office four times. After his death, people began to feel the number of term should be limited, and the amendment was born. Idea: Children could debate presidential term limitations, especially since senators and congresspeople do not have term limits. Buffalo Bill Cody (born William Frederic Cody in Scott County, Iowa, 1846; died Denver, Colorado, January 10, 1917) was a frontiersman and showman. 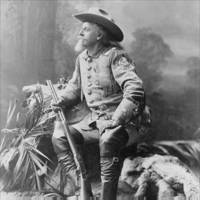 Children can read more about him at: Buffalo Bill Cody. Victor Hugo (born Besancon, France, 1802; died Paris, France, May 22, 1885) was an author. One of his best known works is Les Miserables. Students can read many of his works at: Project Gutenberg. Sharon Bell Mathis (born Atlantic City, New Jersey, 1937) writes books for children. Her book The Hundred Penny Box received a 1976 Newbery Honor Award. Children can learn more at: Sharon Bell Mathis. Colby Rodowsky (born Baltimore, Maryland, 1932) writes books for children. Her books include Julie’s Daughter and Fitchett’s Folly. Judith Saint George (born Westfield, New Jersey, 1939; died Bloomfield, Connecticut, June 10, 2015) wrote over 40 books for children. Her books include So You Want to Be President? (which earned illustrator David Small the 2001 Caldecott Medal) and The Duel. Children can learn more about her at: Judith Saint George. Levi Strauss (born Buttenheim, Bavaria, Germany, 1829; died San Francisco, California, September 26, 1902) invented tough, durable pants for California gold miners. These pants are now known as jeans. Idea: Children could compare and contrast denim with other fabrics. They could see how jeans are made at: Jeans.